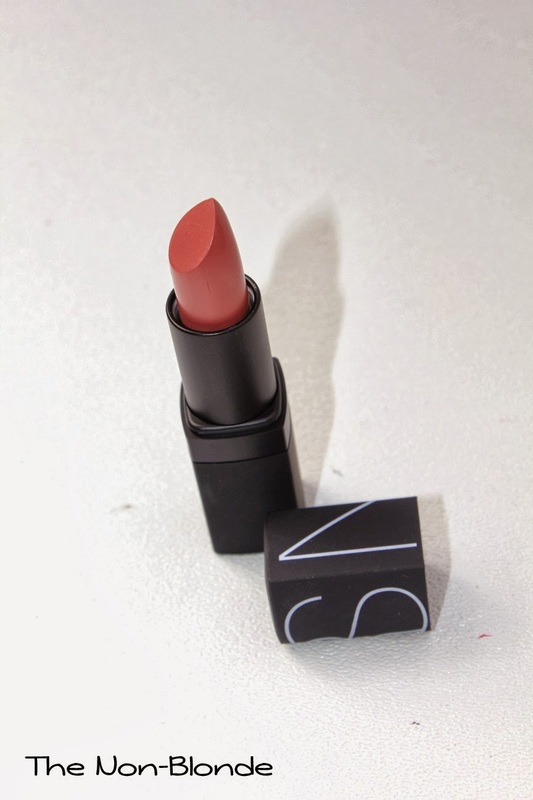 If you ask me, the biggest thing about NARS Guy Bourdin collection for Holiday 2013 is the introduction of a new lipstick formula . The new Cinematic Lipstick line is everything I ever wanted from NARS lipsticks and never got until now: a comfortable and moisturizing formula. 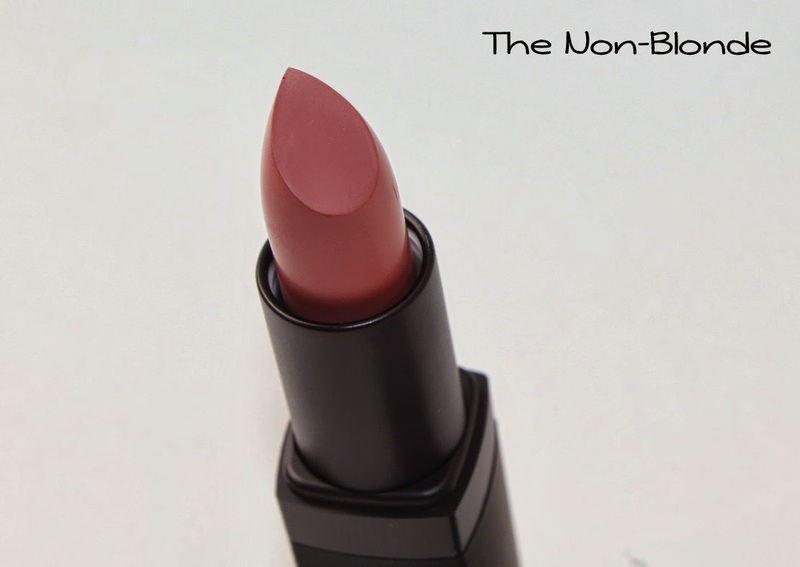 The lipsticks are enriched with Monoï butter and Vitamin E, making them very creamy. They feel great on the lips and seem to simply melt into them as time passes, instead of feathering like some of the regular NARS lipsticks. Let's just say that if NARS was to replace the old formula with this one while keeping the classic colors I'd have a serious problem on my hands. The glossy finish of the Cinematic Lipstick as well as the pigment have a medium-low longevity, at least in the color I tested, Last Tango. I don't mind in this case because of the superior texture- I get to moisturize my lips AND add color. Last Tango is a dusty rose with a mauve leaning. It's a very neutral and healthy color that goes everywhere. 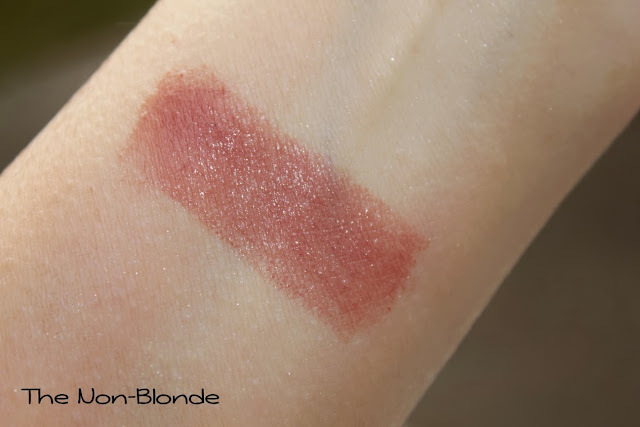 NARS Last Tango Cinematic Lipstick from the Hoilday 2013 Guy Bourdin Collection ($26) will be available beginning October 15th at NARS boutiques and narscosmetics.com. The product in this review was sent by PR. Very exciting news indeed! I love that colour; it's like a browner Dolce Vita. The lipsticks really are the Achilles heel of the Nars brand. I like two: Damage and Dolce Vita. I have bought 6 or 7 others and for reasons you mention they will probably last forever, or until my next spring clean. Uh-oh. I think I need this. BTW, Damage and Dolce Vita are two of my faves, too. Another Dolce Vita lover! It's one of my favorite colors and, unfortunately, one of my least favorite formulas. It's such a well balanced color, but very drying. If this new collection is wildly popular, perhaps that will be incentive for NARS to reformulate some of their classic colors. I'd love a more emollient Dilce Vita. Apropos Last Tango, that's one that I'll definitely have to check out. I love muted warm colors for autumn. Ooh nice! Instant wishlist material. How similar is it to dolce vita (has been on my wishlist forever) ?